TravelEurope Berwang hotel reservation service provides you with a wide variety of lodging and hotel options, from cheap hotels to luxury accommodation in Berwang. Quick and easy hotel reservations with instant confirmation and great value for money whether you travel for business or tourism. Select travel dates and find all available hotels in Berwang, check out guests reviews and locate properties on Berwang city maps, book your favourite accommodation with no pre-payment. All rates are in Euros and inclusive of all taxes. In the picturesque village of Berwang, in the beautiful backdrop of the Tyrolean ski resort Zugspitze Arena, the Häus'l am Ruan offers fast check-in and check-out, ski storage, picnic lunch and ticket service. The Gästehaus Alpenblick awaits you a short distance from the ski lifts and ski slopes, with rooms and apartments boasting views of the Lechtal Alps. 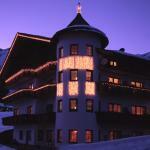 The Bergpension TheLounge welcomes you in Berwang, a short distance from the famous ski area. 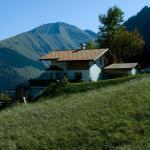 Ideal accommodation for your summer or winter holiday, this hotel offers a warm and informal welcome. The Hotel Blitz is located in the heart of the resort of Berwang. The sunny position offers a fascinating view of the Zugspitze. The hotel has a fully equipped fitness center with sauna and solarium. 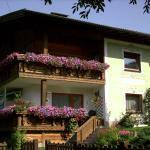 The Hotel Thaneller is located in the small village Rinnen, near Berwang, surrounded by the Lechtal Alps. The Hotel Kaiserhof is a cozy resort in a superb location in the Tyrolean Zugspitze Arena. The hotel has a fully equipped health club with sauna and beauty treatments.